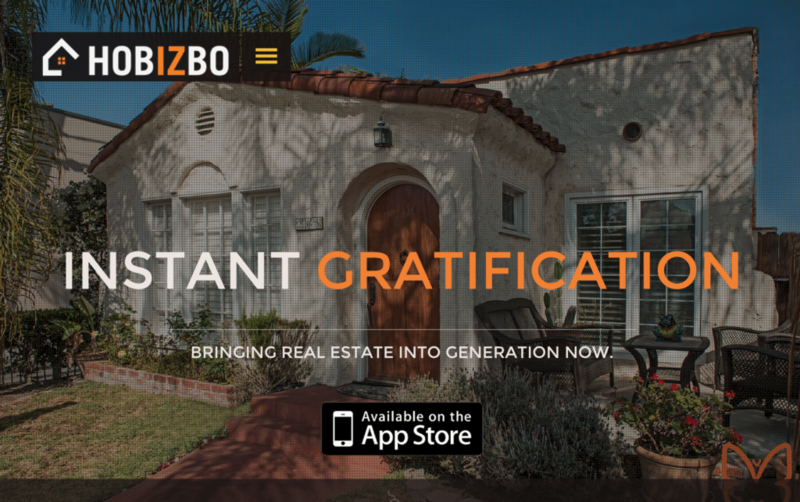 Startup Hobizbo is piloting a new iOS mobile app that streamlines showings and purchase offers for both real estate agents and buyers with Southern California broker Boutique Real Estate Group. Using the app’s new instant showing feature, buyers can get in the door of a property within minutes of requesting a showing with the help of one of Boutique Real Estate Group’s nearly 30 agents. The “instant offer” feature allows agents and buyers to easily negotiate the bullet-point elements of a deal before writing a formal offer. Hobizbo is open to any agent or buyer looking at homes covered by California Regional MLS. Hobizbo is among a crop of new firms giving consumers access to on-demand real estate broker services. Seattle-based Redfin, which operates as a brokerage in 34 states, introduced an instant home-showing tool earlier this month. And three startups — AgentPair, Curb Call and Avenue, winner of Realogy’s third annual pitch competition last month — have business models centered on providing consumers immediate access to agents. Hobizbo’s instant showing feature, which launched in May, is live in 75 ZIP codes in Los Angeles and Orange County and serviced by Boutique Real Estate Group’s agents. The firm, which introduced its offer feature last summer, then officially launched out of beta in May, is still hammering out its business model, said Hobizbo founder Matthew Firth. The firm plans to work directly with brokerages, not with agents, he said. Hobizbo displays listings from California Regional MLS as a member broker. Like other real estate firms testing new models, it’s skirting the line between vendor and broker. Because Hobizbo is a licensed brokerage, it can charge a referral fee to agents who close leads it feeds them. But Firth said the firm is waiting to see how the pilot shakes out with Boutique Real Estate Group before figuring out how it will make money. Firth, who has a background in commercial real estate, thinks the immediacy Hobizbo brings to real estate is the future. “We knew that the younger home​buyers ​wanted ​more control in the process​ and demanded ‘instant gratification’ in this whole ‘Uber economy​,’​ so we built instant appointments to reduc​e​ the need for agents to market themselves and ​stay ​more focused on doing the highly specialized, knowledge-based work that is really valuable to their client​,” Firth said. The firm will tweak the product before introducing it to brokers in other markets, he said. “Hobizbo’s tools create opportunities for our agents to work with new clients while providing a valuable service that many consumers are after,” said Jeremy Lehman, chief technology officer of Boutique Real Estate Group.